This version adds the ability to further control the discards in Qualifier and Finals events. Previous versions allow a discard profile for the event and an additional profile for the maximum no of discards in the finals. This version adds the ability to add a discard profile for the minimum no of discards in the finals. 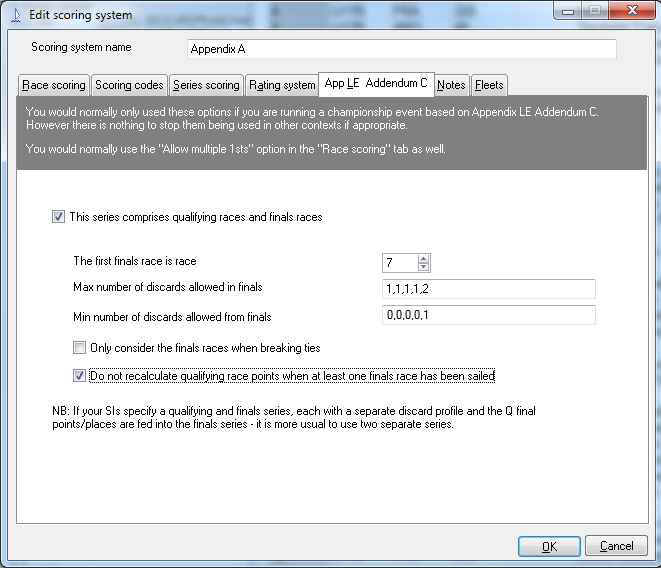 So when used in combination with the maximum you can now specify an absolute number of discards in finals, a minimum or a maximum for each race. This is an exe only so for most users please install the full install 2.14.11 below – If you need this additional feature download this from the following link and replace the Sailwave.exe with this one.